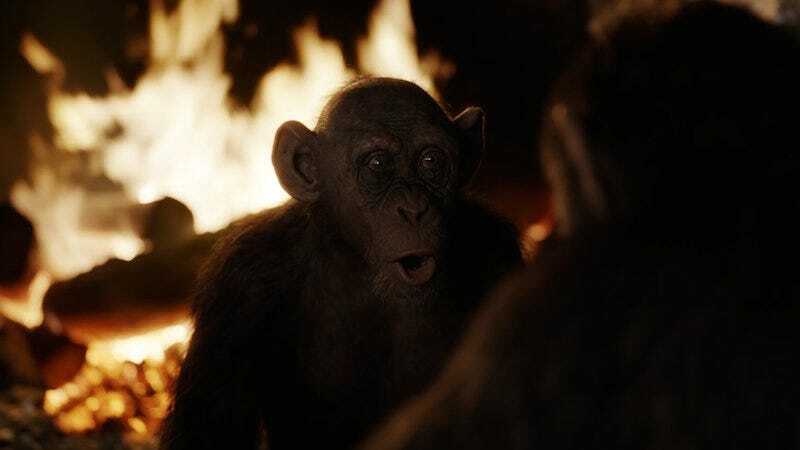 In War for the Planet of the Apes, Steve Zahn plays Bad Ape, a new character who shows up having learned to talk all on his own. He’s got some... quirks. 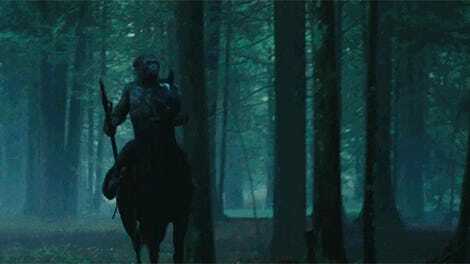 The latest War for the Planet of the Apes clip is an extension of footage we’ve seen before, while still being ever so slightly edited to hide a few reveals. Mainly, it exists to introduce us to Bad Ape, a former zoo animal who found himself getting smarter as the humans got sicker. Bad Ape is also the only survivor from his group of apes, the rest having been killed by humans. Being smart but isolated has clearly done a number on Bad Ape, who is clearly a bit eccentric. He’s a bit of a magpie and his attention flits about. But mostly, you get caught up in his earnest happiness at making new friends. Plus, he has some important information for Caesar. War for the Planet of the Apes will be in theaters July 14.